Can a smartphone do the job? Dusk at the Indianapolis curve with the P20 Pro. 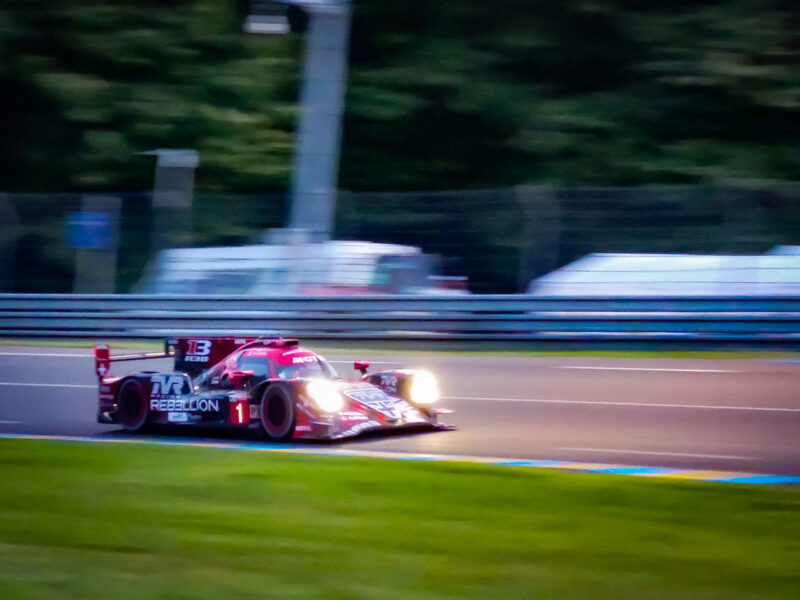 When a photographer decides to attend a motor race, let alone the legendary Le Mans 24 hour race, the photographic mind starts to race, too. Which lenses, what vantage places, what techniques, to use in order to come home with the most memorable shots? 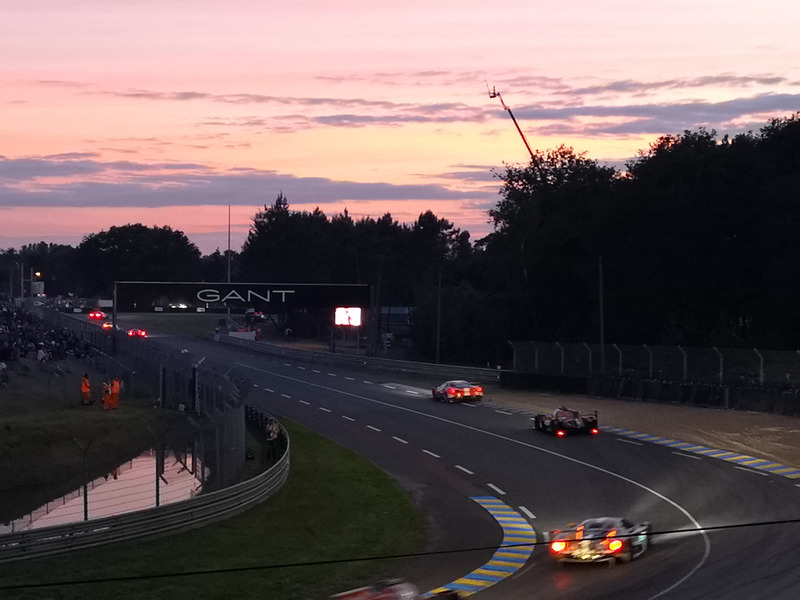 So imagine being asked by Huawei to photograph Le Mans just using their flagship smartphone, the P20 Pro. A smartphone instead of a conventional camera? You almost certainly own a smartphone and use it for taking photos at least every now and again. 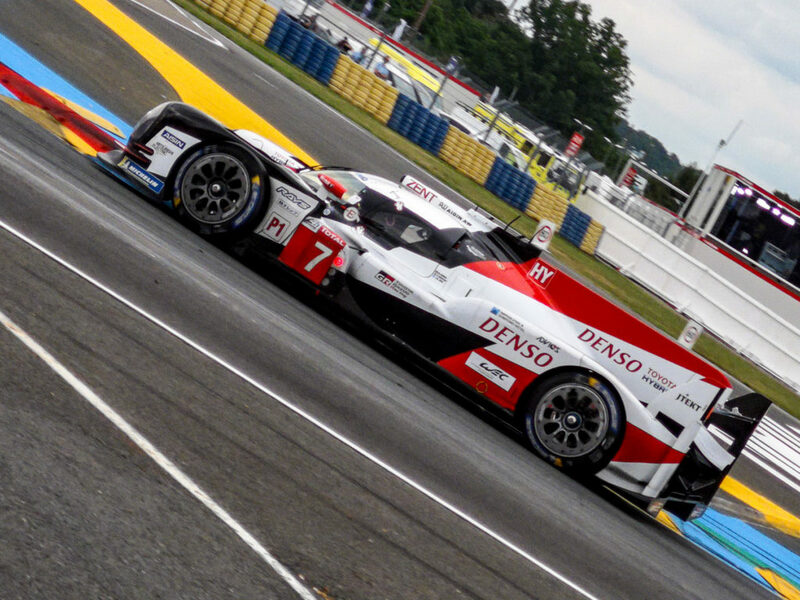 Smartphones have improved as cameras in leaps and bounds, but could the P20 Pro replace a more conventional camera at Le Mans? That question had to be answered and the challenge was eagerly accepted. I hadn’t had a chance to use a P20 Pro before but I was already very familiar with reports from my peers in the camera press about Huawei’s new marvel. Most of that was high praise. But I wasn’t yet convinced. To start with you need a long lens for motorsport. I wasn’t sure the P20 Pro’s 80mm, equivalent, telephoto was going to cut it. And could the tricky handling of a phone be a killer? But the P20 Pro has a sophisticated hybrid lossless zoom that seamlessly links the super high-resolution 40 megapixel main camera with the 8 megapixel telephoto camera, with a unique third ancillary 20 megapixel mono camera providing vital additional luminance and depth data. The P20 Pro can do things no previous smartphone camera can do, in both normal and low light conditions. If you aren’t familiar with the P20 Pro you may want to jump to a page dedicated to the technology that makes the P20 pro remarkable. 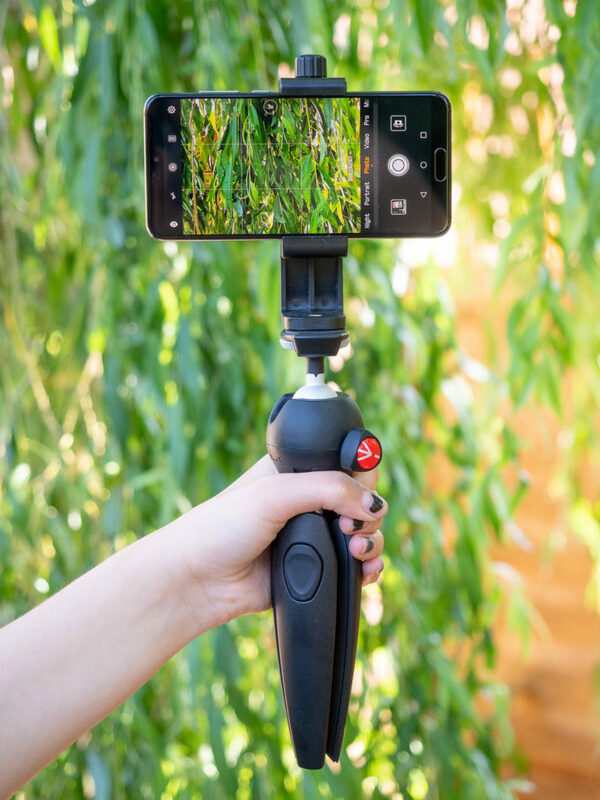 A MyArmor Universal Smartphone Holder mounted on a Manfrotto Pixi Evo mini-tripod. The combination makes a great grip for your P20 Pro if you find holding the phone difficult for more than a brief period. Thinking about the requirements for photographing in and around the pits and paddock, as well as the circuit, at a motor race, which I had previous experience of as an F1 fan, I decided that some accessories would be required. 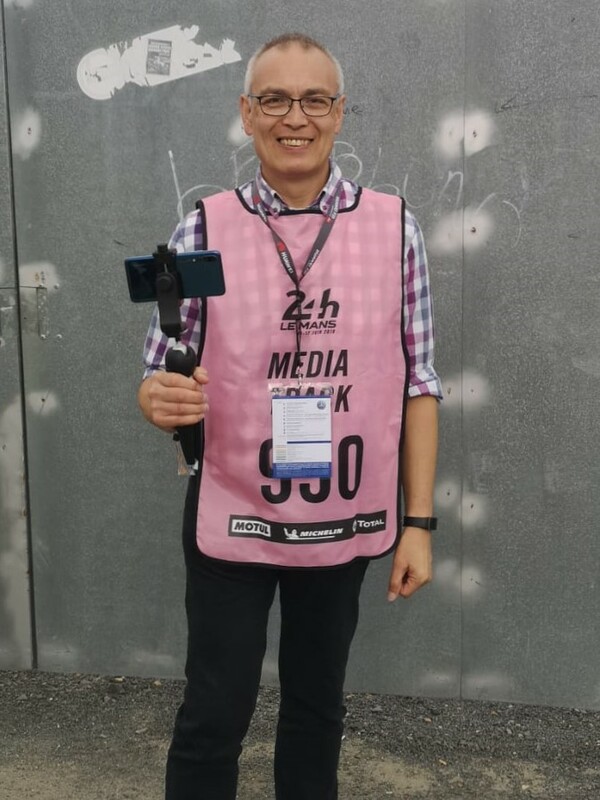 Yours truly with P20 Pro at Le Mans. Just as you need a decent support for a conventional camera, I opted for a smartphone clamp and compact table-top tripod to use as a grip for the P20 Pro. You can find more details on this page. At least you don’t need to worry about memory cards as the P20 Pro has 128GB of integrated storage. I shot more than 10,000 images at the race and these added up to around 14GB. I chose to concentrate on stills, although some of the modes I used, shoot at rates close to video frame rates, like continuous sequential shooting, which Huawei calls ‘Burst’ mode. It was an early start from London to travel to the Sarthe, home of Le Mans. 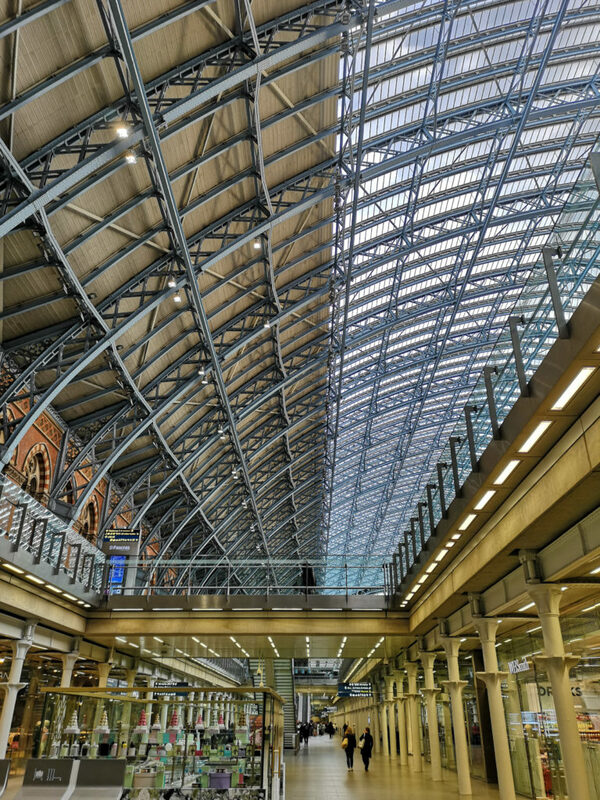 The intricate metalwork of the roof at St.Pancras station is a test for any camera. Travelling from West Herts to the circuit in rural France on the Friday before the race meant a very early start to get a 7AM Eurostar to Paris and then a 3 hour car journey to the circuit to collect media passes. 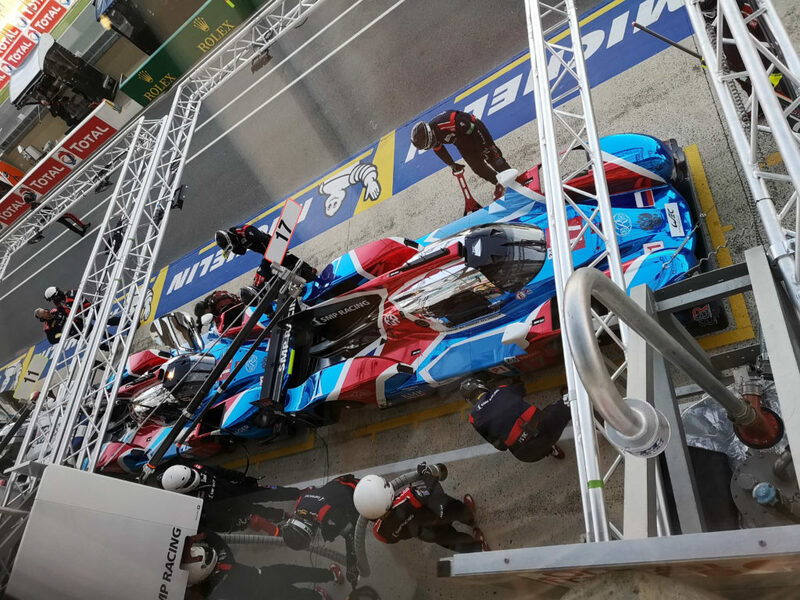 Through the (closed) window of our hospitality suite as the two SMP/BR Engineering cars arrive at the garage simultaneously during pre-race free-practice. Huawei had hired a hospitality suite above the pit lane garages for our group of around 20 photography and lifestyle journalists from all over Europe to be based at. 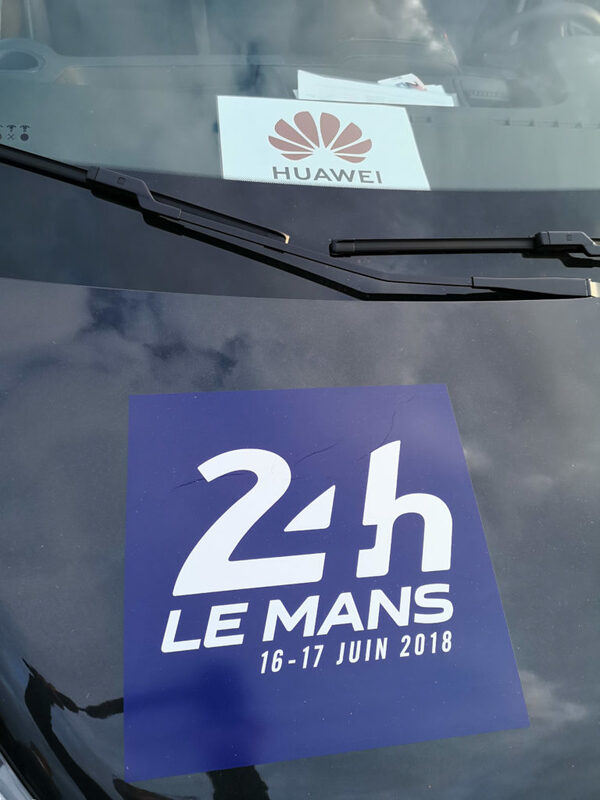 A momento of Le Mans 2018 with Huawei. We all had pit and paddock media passes and some of us, myself included, had access to vantage points around the circuit in front of the spectator fencing; basically as close as any press photographer gets to be to the action.